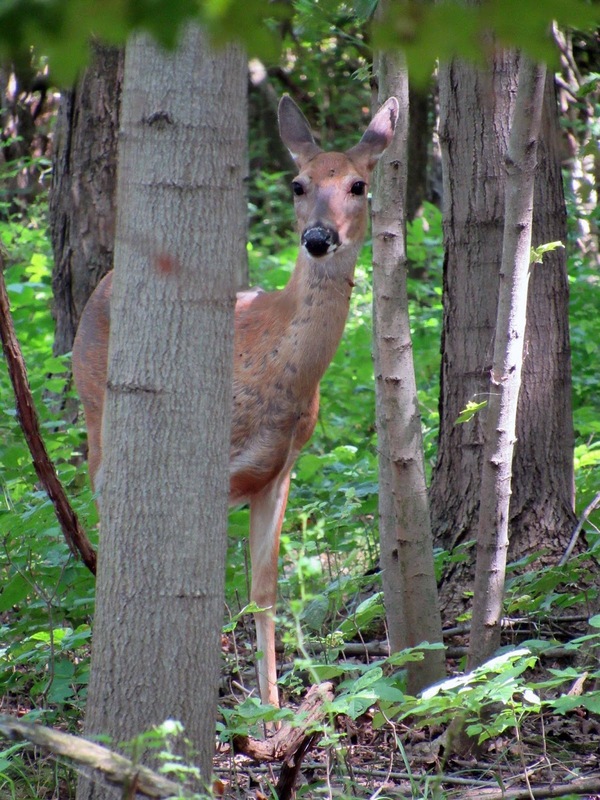 I was walking down the hall at work, a walkway with top to bottom windows, when I paused to peer out at the woods that surrounds our campus. Some of the trees already donned their autumn wardrobe. As I watched for a moment, a tree let go of a leaf and sent it tumbling to the ground. 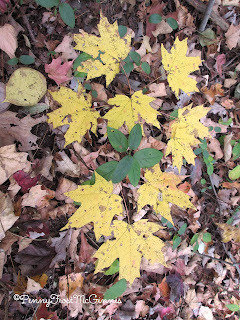 The deciduous trees sense winter is coming, so they begin their hibernation by letting go of the old leaves. 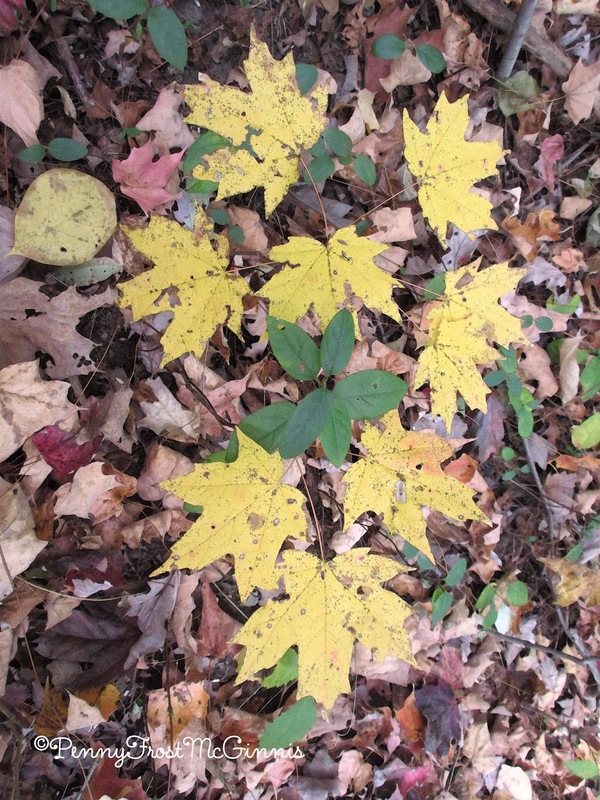 Once the brilliance of fall ends, the leaves cover the ground and the tree hopes for a new season in the spring. 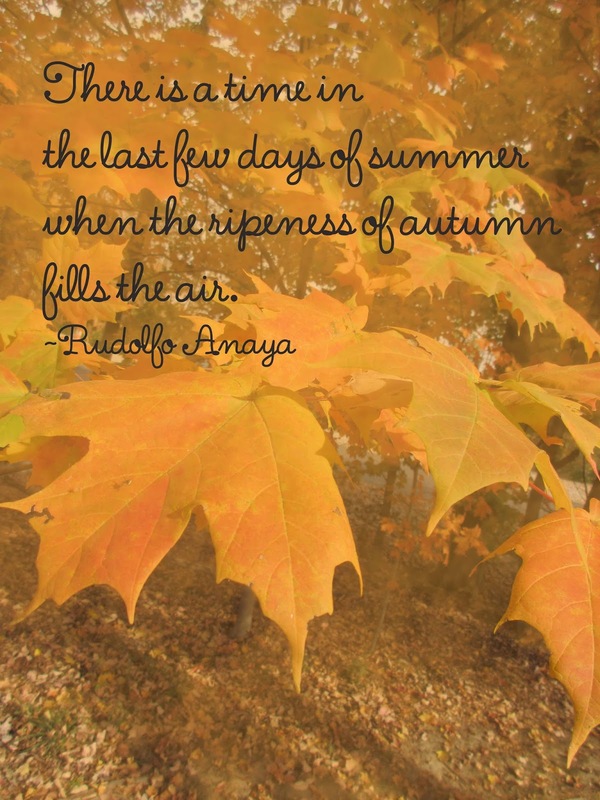 That single leaf falling to the ground reminded me of the seasons in life. The ones where we need to let go of old things. Maybe a sin from the past that hangs on with hawk like talons. A sorrow so great, your heart breaks over and over. Words that sliced you like a knife. Or words you flung at someone else. The baggage we hold onto weighs us down. Like the trees, God wants us to let go and place our burdens and cares in his hands. The trees were created by God to sense the time to let go. As believers, he gives us his word that tells us to cast our cares and anxieties on him and he'll take care of us. I know I need to trust God with my heartaches and my burdens. I know, like the trees do that there's a time to let my problems drop into his hands and let him take care of me. God loves us so much. The desire of his heart is for us to pour out our hearts to him. If you have a sin, a sorrow, a worry, a confession—tell Jesus. He listens and forgives. He helps us move on to the next season. Praise God, he loves us so much! Off the coast of Maine, Tim and I waited with several others for our puffin tour to begin. Once the tour boat launched we'd travel out about half an hour to see the little birds in their habitat. The captain announced the excursion would be delayed because of a mild storm. Rain drizzled down around the boat as clouds rolled over. Once the dreary weather passed, the captain pulled the boat out into the choppy ocean waters. Thirty minutes later we stood on the deck and spied the puffins. The boat rocked, the puffins bobbed, and I hung over the side with my hand wrapped around a pole to snap photos. Although I should have been afraid of falling in, I wasn't. For two reasons—Tim was watching out for me and my focus wasn't on fear. Instead the purpose for the tour held my attention. Matthew tells another story about a storm and the fear that gripped the disciples when the waves crashed. Although my experience wasn't like theirs, nor was it like the folks who just went through hurricanes, I learned a lesson. Instead of letting fear grab my attention, I was able to focus on why I was on the boat. Through determination and anticipation, my fear took a back seat. So many days troubles come, storms of life if you will. And what do I do. Too often I focus on the fear, the anxiety, the possibility of failure. What should I do? Pray and trust Jesus to see me through. Also, I need to keep my eyes on my purpose and remember God has a plan for my life. 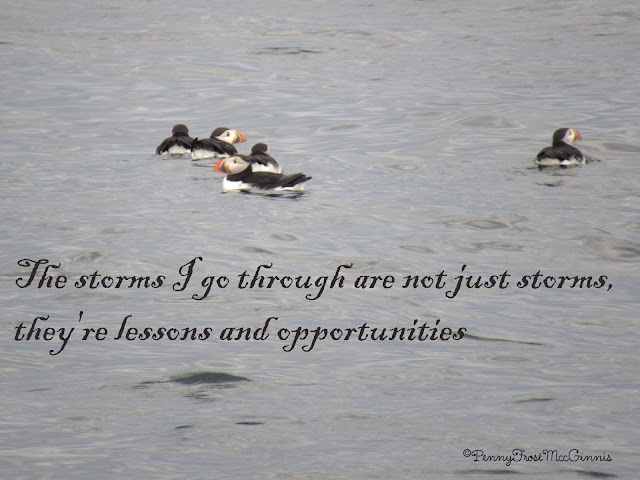 The storms I go through are not just storms, they're lessons and opportunities. Our storms give us the chance to show others our faith in Jesus. Let's praise him through the storms! Tim and I hiked through one of Kelleys Island's nature preserves. We trekked along a grass and dirt path until we reached a boardwalk, made of recycled plastic, that rambled through the woods and over the wetland. On the other side, the trees opened up onto a lovely little beach. White sand, created from waves breaking up tiny white shells, sparkled in the sun. 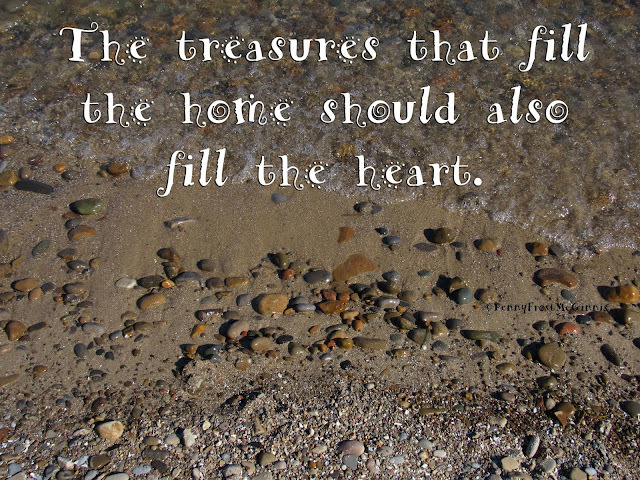 As we wandered along the water's edge, we searched for treasures. 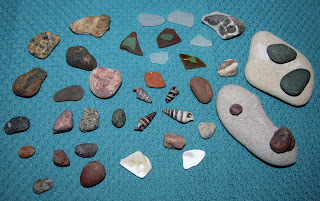 Not gold or silver, but pretty rocks, pebbles, and lake glass. Lake Erie did not disappoint. 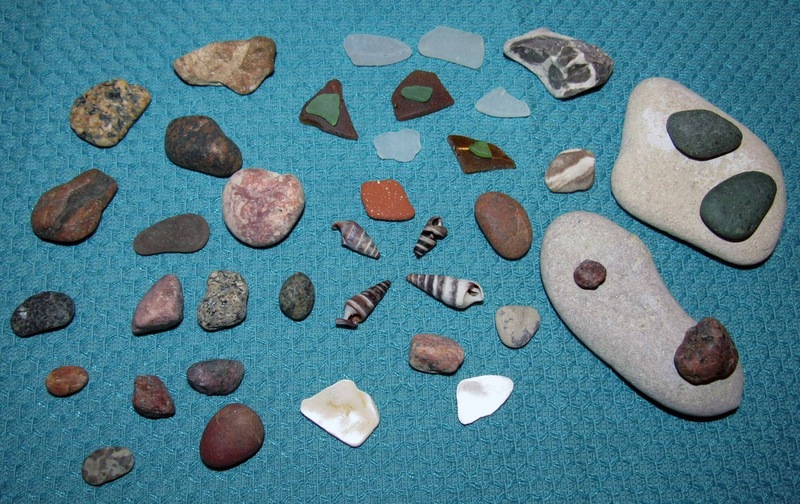 We found pink, red, and interesting green rocks along with white, green (two shades) and brown lake glass. As we wandered along, some children playing nearby showed us their finds, including a live turtle they were watching. What a fun trip! Once we got back home, I cleaned the rocks and glass and added them to my growing collection. I love my treasures. They are memories of my life. Our home is filled with things that remind us of the people we love and the God we worship. So much of what we own reflects the gifts God has created and given. Proverbs 24 reminds me my home should be built with wisdom, established on understanding, and that treasures come from knowledge. I believe the wisdom refers to the guiding hand of the Holy Spirit. For my house to truly be a home, God must come first. Understanding reflects our relationship with Jesus and the personal interest he has in us. Knowledge represents God's word of truth, the Bible, which is chocked full of rare and beautiful treasures. Without these elements, my home would be empty. I want Jesus' love, joy and peace to fill our house. I love my rocks and lake glass, but I treasure the heart of our home so much more, which is Jesus. The treasures that fill the home should also fill the heart. She's determined to give her baby a better life. Could a Christmas miracle make it possible? Not long after she receives the news in 1944 that her baby's father was shot down in the South Pacific, Amelia Richards loses hope. Jobless and broke, she has nowhere to turn for help but her infant's paternal grandparents. The only problem is, they don't know that she--or their grandson--exists. When Amelia discovers the family is wealthy and influential, dare she disclose the truth of her relationship with their son? Or could the celebration of the arrival of another unexpected baby nearly two thousand years ago be the answer to her dilemma? It's not too soon to be looking for the newest holiday books. 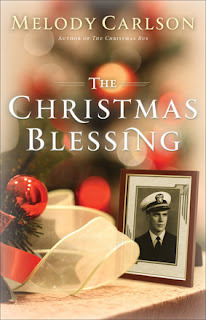 Melody Carlson writes a new Christmas story every year. The one she's penned for this joyous season is an engaging tale about a young woman who wants nothing more for her child than the love she knew with his father. I enjoyed reading the story of Amelia's courage as she forged through life's tragedy with her sweet little baby. Determined to do what's best for her baby boy, Amelia prays for a Christmas miracle. If you are looking for a great holiday read, pick up The Christmas Blessing. It's a feel good story of hope and love during WW 2. I received this book for free. 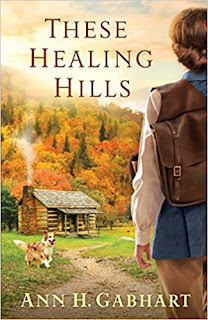 These Healing Hills is Ann H. Gabhart's best writing to date! I love the story of Francine's brave journey into the Appalachian Mountains to become a midwife. As I read, I was reminded of another amazing book, Christy by Catherine Marshall. Ann obviously researched the nurses/midwives who actually put their lives aside and traveled into a place they'd never been. As well as the woman who started the program, Mary Breckinridge. Being a native Kentuckian, Ann wrote with the heart of one who understands the Appalachian communities. I loved the characters and found their way of life fascinating. One of the things I liked best was Ann's portrayal of the Appalachian people's love of family and faith in God. These Healing Hills stayed with me long after I finished the last page. I received this book for free. The secret to great relationships isn't to become more charming or funny or to solve the world's problems or to just try harder. The secret is to listen--and listen well. It's that simple. When you listen well, your marriage will grow stronger, your parenting will flourish, your friendships will thrive, and your influence at work will increase. You will be amazed at how one simple act can transform the hearts of others--as well as your own. 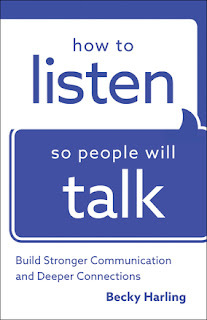 How to Listen so People Will Talk is more than a how to book on listening. The author includes thoughts about not just listening to people but also, listening to God. Hearing his voice as he speaks to our hearts. When we learn to listen to God, we'll hear the voices of the people around us with deeper meaning. Becky gives some excellent exercises that help the reader check their attitude and increase listening skills. I like that she talks about hearing other people's stories and learning more about those we care about. I recommend this book as a great tool that will help us all listen better. I received this book for free. I had something else in mind to write today, but I've tucked those words away for another time. Instead, my mind and heart are with the folks who have been through or are waiting on the forces of nature that have let loose. Texans dealing with the aftermath of hurricane Harvey, Floridians and other southerners who watch and wait on hurricane Irma. The folks out west praying for rain to put out the wildfires. Dan Walsh, an author whose books I've reviewed, lives with his wife in Florida. He's been giving updates on Facebook as they pray and watch the weather channel. After so many changes in predictions, Dan posted that he was putting the situation in God's hands. I would hope in the same situation, that I'd have the faith to trust God. But how difficult that would be. Worry loves to wiggle in and take over. But God counters those thoughts with instruction to trust him, even when the situation seems impossible. Don't think for a minute that I haven't fretted. I've done my share. But I'm thankful I have a place to go with my concerns. I'm sure we all know someone affected by the disasters around the globe. Please join me as I pray for the folks in the eye of the storm. Proverb 3:5-6 Trust in the Lord with all your heart and lean not on your own understanding; in all your ways submit to him, and he will make your paths straight. A magazine came across my desk this week. The front cover posed this question, "Where did we really come from?" Curious, I opened to the page of the article. I thought maybe there was a tiny chance that someone was writing about the creation story. Instead I found another argument for a different theory. 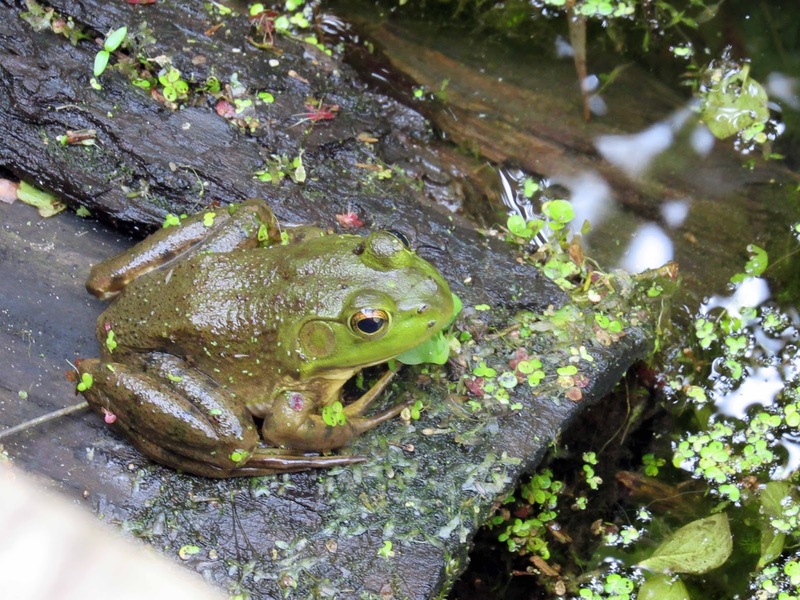 Understand this about me—I love nature, and I respect science. In biology class, I was fascinated with photosynthesis, the life stream of plants. I enjoyed learning about flowers and found animal habitats interesting. I still enjoy being outdoors watching birds and wildlife. I was excited in Maine when we learned about the lobsters and puffins. So when I read the question, "Where did we really come from?" I already knew my answer. I've prayed and studied over this for a long time. I believe with all my heart that God created me. He held me in his heart before I was even born. God made me to reflect his image. I may not always do that because we live in a sinful world, and I confess, I sin. But I know, without doubt, that God put me on this earth with purpose. He knew me and he knows my life. Some might wonder how I can embrace God and science. My answer—because I believe God invented science. The galaxies? God tossed every star into place. The butterflies? God painted every delicate wing. My grandbabies? God formed them before we knew them. God gave us the gift of science to help us cope with this crazy world. He has his hand in medicine, technology, astronomy (remember the recent eclipse) agriculture (he did plant the first garden) and every other science we know. My faith in the truth of the Bible leads me to believe that God is the giver of life. He is the one who understands everything because he created everything. I praise God, because his works are amazing! Psalm 139:13-14For you created my inmost being; you knit me together in my mother’s womb. I praise you because I am fearfully and wonderfully made; your works are wonderful, I know that full well.